You'll see in the example that you cannot claim a day in progress. 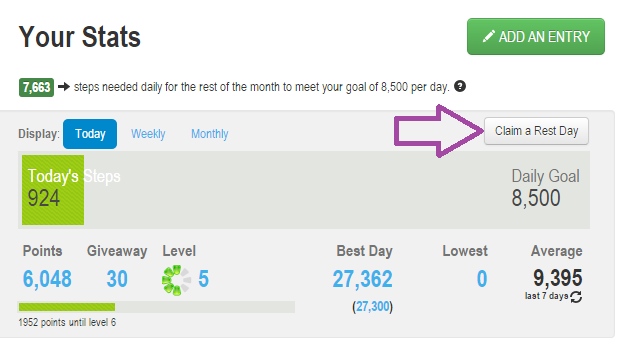 This example has a daily step goal of 8,000, so I can claim any day that I did not make that goal. 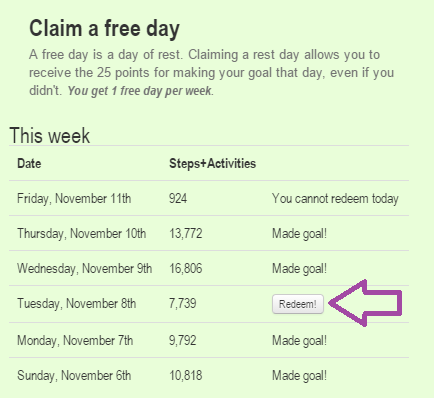 In this example, 11/8 is claimable since there's a "Redeem" button available. 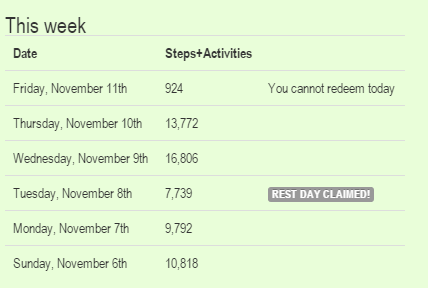 Click "Redeem" on the day you wish to claim as your Rest Day for the week. • If you click on the "Claim Your Rest Day" button again you'll see a message saying that you've claimed a Rest Day.